Disneyland has a lot to offer during their Halloween Time event that runs from Sept 11 to Nov 1st. Take a glance at our list of not to miss things from this years celebration so you will be prepared for all the fun to come. 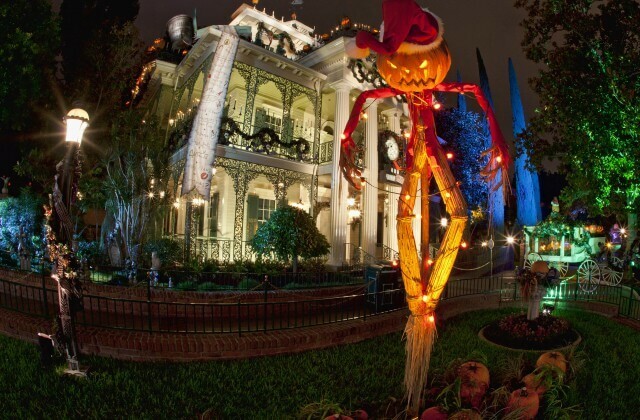 New Orleans Square has become a thrilling Disneyland Halloween tradition, with Jack Skellington from the Walt Disney Pictures classic “Tim Burton’s The Nightmare Before Christmas” moving into the Mansion to spark a collision between Halloween and Christmas. 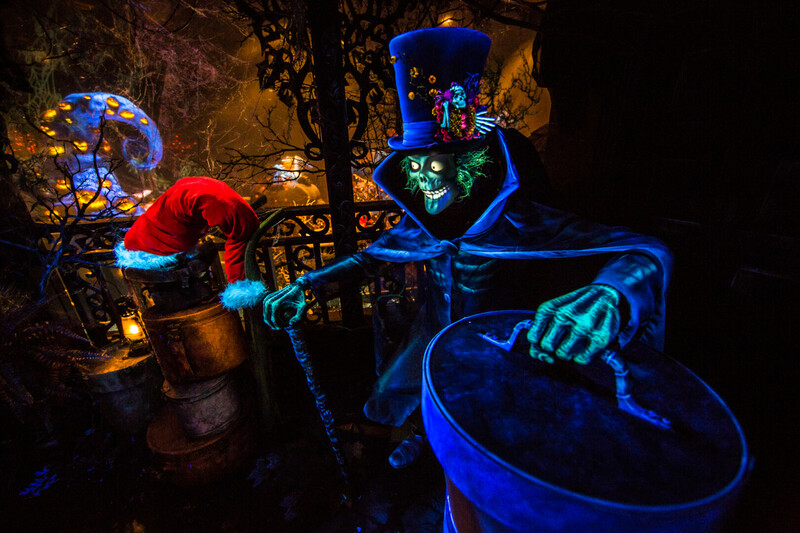 As in past years, some eerie new touches have been added to the Haunted Mansion Holiday experience. 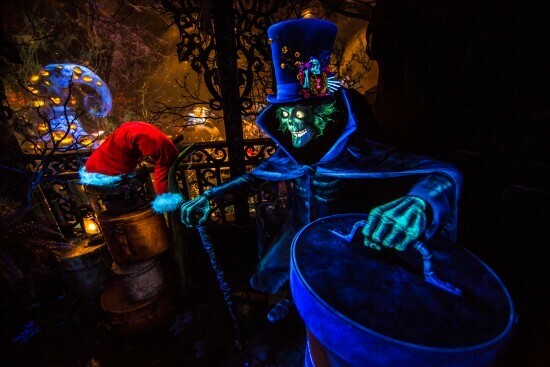 The Hatbox Ghost, who recently rejoined the Mansion’s happy haunts, is staying to celebrate Halloween and Christmas with Jack Skellington and his friends. Inside the Mansion, the 15th annual Haunted Mansion Holiday gingerbread house resembles a leaning and careening “house of cards” this year. 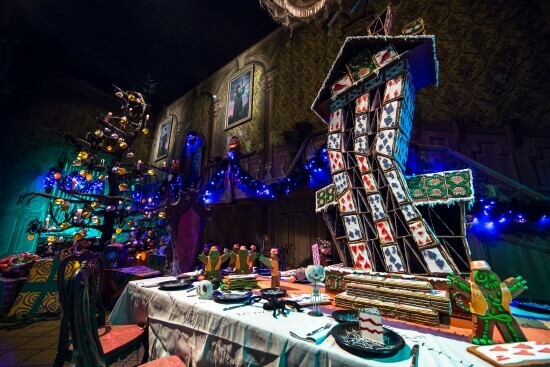 A corps of zombie gingerbread men in orange-frosting safety vests stands beneath the towering confection to supervise construction while a team of “helicopter bats” hover above the teetering tower. 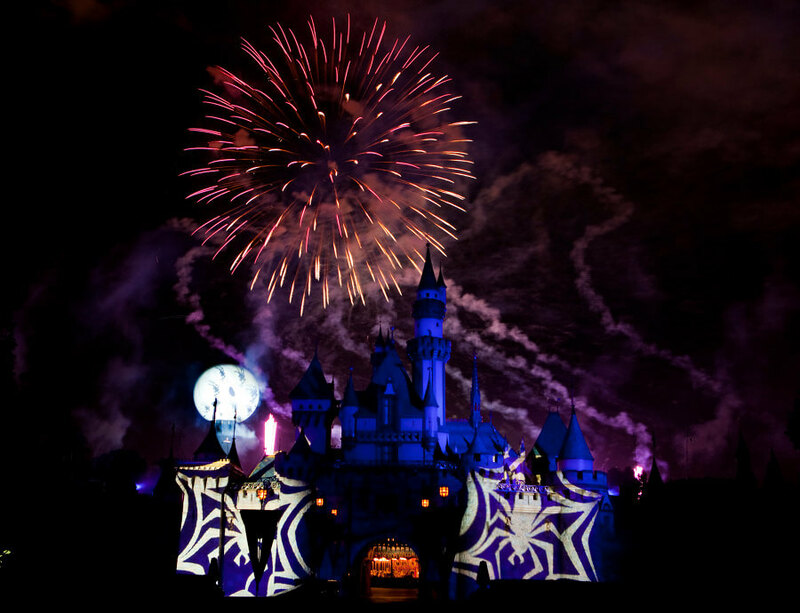 The “helicopter bats” are lowering spiders that will add the final gingerbread cards to the tower from their sticky, suspended webs. Another Halloween favorite is Space Mountain Ghost Galaxy, a Halloween-themed reimagining of the popular thrill ride in Tomorrowland. 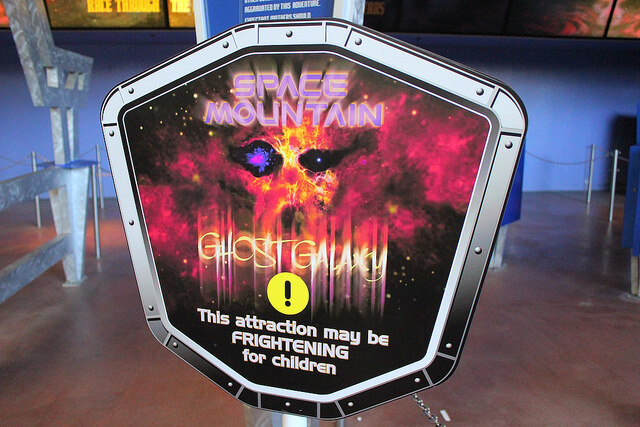 Guests on board the speeding Space Mountain vehicles are thrust into a ghostly galaxy where they are bombarded with eerie screams, sound effects and music. 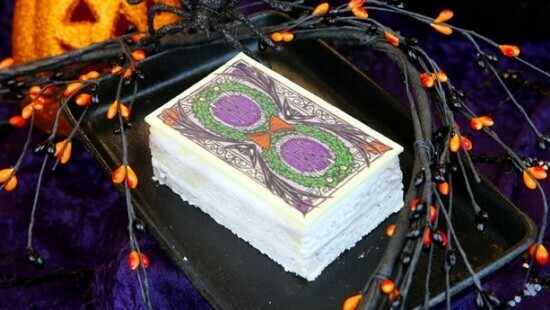 Spine-chilling spirits pop out of the darkness, appearing to reach out and menace space travelers. 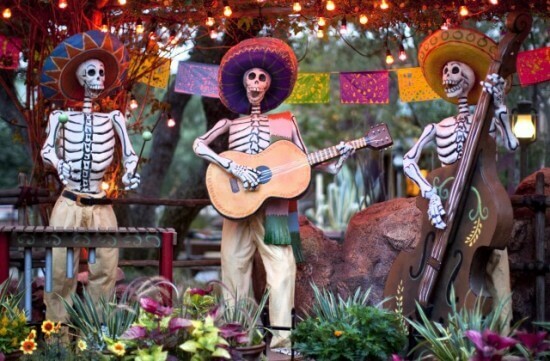 In Frontierland, guests will enjoy the observation of the traditional Mexican “Dia de los Muertos” celebration with a skeleton display near Rancho del Zocalo restaurant. Free sugar skull face painting is also available. 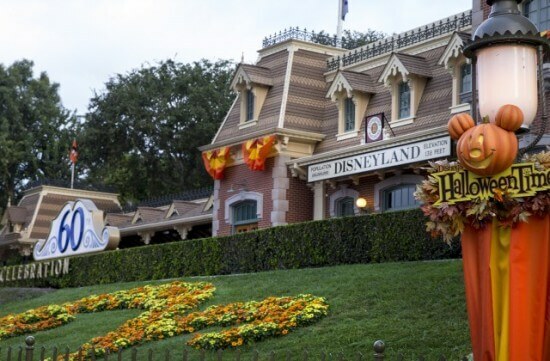 The popular separate-ticket, after-hours Mickey’s Halloween Party returns this year, expanding to 17 nights beginning Friday, Sept. 25, with an array of special entertainment. For the first time, the “Paint the Night” parade, which made its debut in May for the Diamond Celebration, will be presented during this special event. 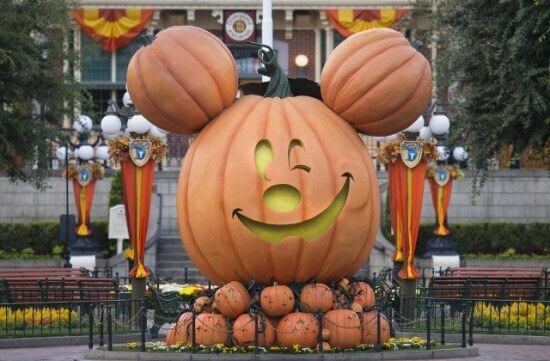 In addition, the “Halloween Screams” fireworks spectacular and the “Monsters U Dance Party” at Tomorrowland Terrace are exclusive to Mickey’s Halloween Party. 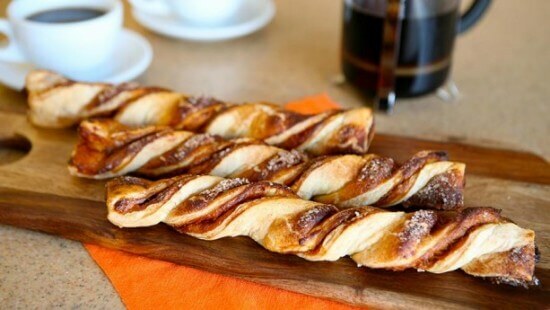 If you are looking for something scary to snack for the Halloween season Disneyland offers plenty of different options. 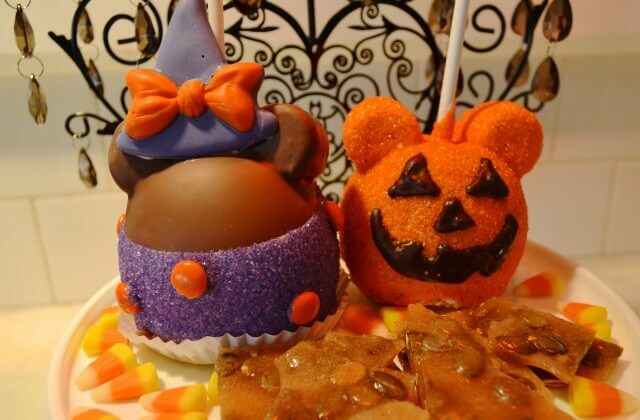 The French Market Restaurant will offer a Haunted Mansion Cake, pumpkin cheesecake and twists will be on hand and, of course, plenty of scary caramel apples. 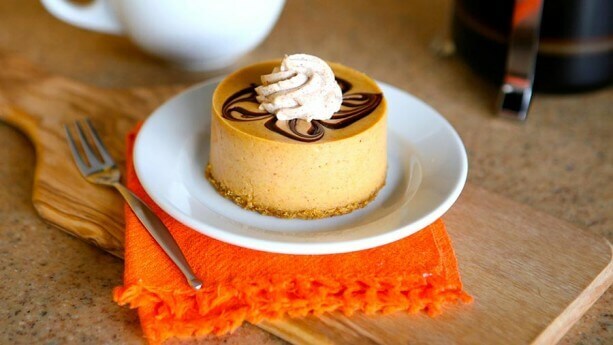 Every villain fan needs to have a special cocktail just their own. 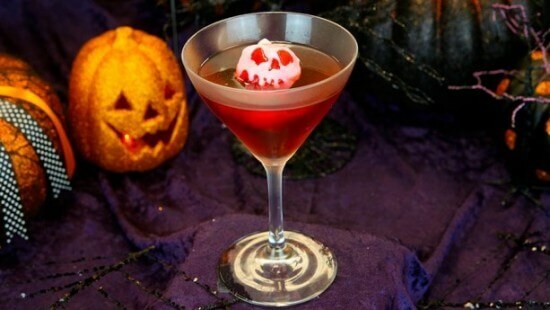 The Evil Queen made sure to supply her fans with this Poison Apple-Tini featuring a special glow ice cube. 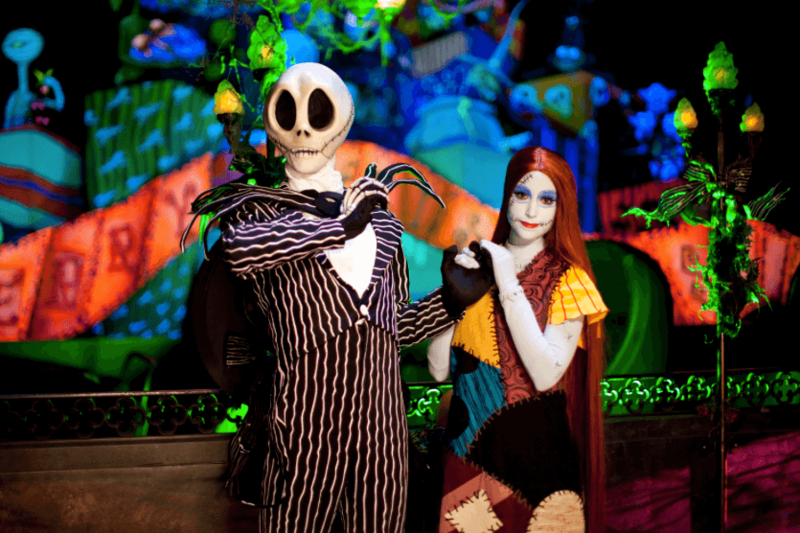 Meet the host and hostess of Haunted Mansion Holiday outside of the Mansion itself. If you look close by at the popcorn carts you may spot Zero himself too. Tons of places around the park is decked out for the season but you will see the most pumpkins on Main Street. How many pumpkins can you spot? 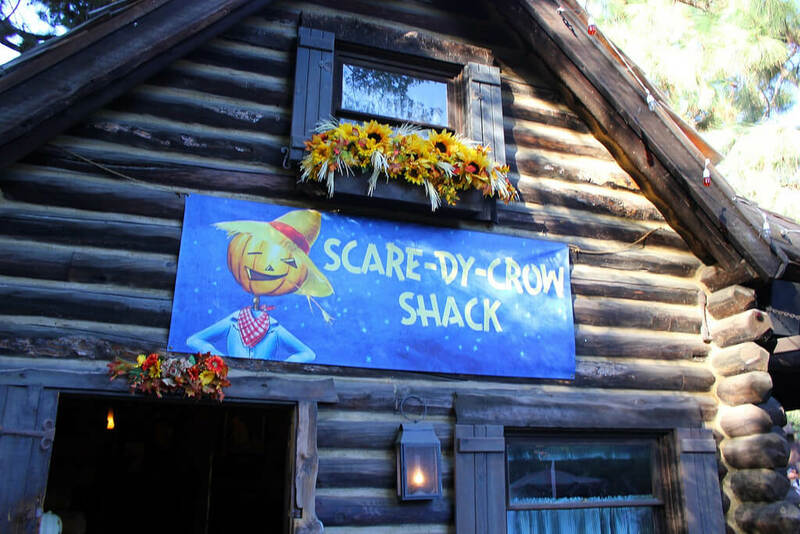 This most likely will be the last season Big Thunder Ranch will be decorated for Halloween so make sure to make a visit to check out all the decor and special scarecrow pumpkins. 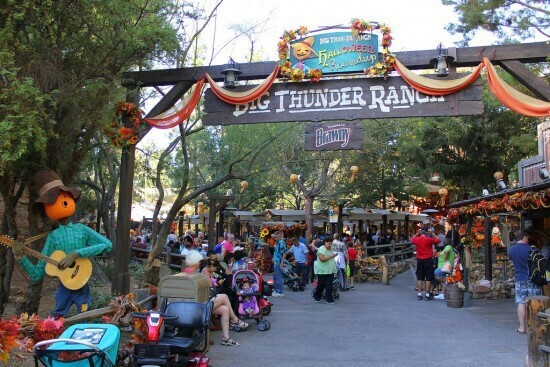 I didn’t think that the Big Thunder Ranch was doing anything this year?